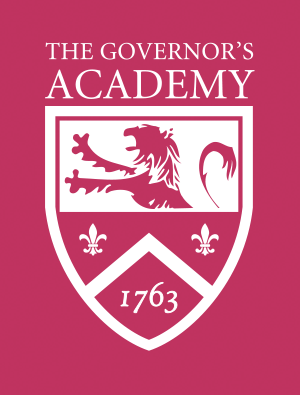 At The Governor’s Academy, we welcome individuals who embrace difference. We believe that our personal experiences are the threads that define and connect us, and we foster a climate of appreciation in which each person’s story can weave itself into the evolving fabric of our community. Recognizing that diversity is an ongoing commitment, we purposefully reexamine our behaviors and beliefs to create community. Today, our 400+ students originate from 23 states and 19 nations. We boast a very strong global education program, including formal exchange partnerships with schools in China, South Africa, and with the Navajo Prepatory School. Each spring, more than a dozen juniors spend their March breaks abroad; we host their counterparts in Byfield later in the year. In the past 3 years, 12 faculty members have attended the Diversity Directions Independent School Seminar. The week-long seminar is designed to help schools develop a common language and strategic methods to examine and address the personal, interpersonal, and institutional factors that can advance or impede a school’s inclusion initiative. Statement of Purpose: The Governor’s Academy has established the African, African-American & Latino Affinity group (AALA). This affinity group provides an opportunity for students who identify as African, African American, and Latino to speak to their experience in an empowering space that affirms their identity, builds community through shared stories and experiences, and cultivates goals and strategies to lead diverse communities. The mission of the founding members of S.A.F.A was to create an open forum for faculty and students to discuss issues relevant to our community and our place in the world. We endeavor to create a safe place for open discussion, disagreement, inspiration, planning, and thoughtful listening that can act as a bridge between faculty and student concerns around issues of equity, social justice, and current events. We hope that in so doing we may enable ourselves and the larger community to exercise empathy as well as a greater understanding of the context in which we live, learn, and work together. Statement of Purpose: A student-organized group that provides support for its members, Spectrum works to raise awareness about LGBTQ issues through advocacy and educational discussion.